Corporate Development (Corp Dev) is the group at a corporation responsible for strategic decisions to grow and restructure its business, establish strategic partnerships, and/or achieve organizational excellence. The purpose of Corp Dev is to create opportunities for the company through actions such as mergers and acquisitions (M&A)Mergers Acquisitions M&A ProcessThis guide takes you through all the steps in the M&A process. Learn how mergers and acquisitions and deals are completed. In this guide, we'll outline the acquisition process from start to finish, the various types of acquirers (strategic vs. financial buys), the importance of synergies, and transaction costs, divestituresDivestitureA divestiture (or divestment) is the disposal of company's assets or a business unit through a sale, exchange, closure, or bankruptcy. A partial or full disposal can happen, depending on the reason why management opted to sell or liquidate its business’ resources. Examples of divestitures include selling intellectual, and deals that leverage the value of the company’s business platform. Why is Corporate Development Needed? In one sense, corporate development is an essential inward-looking function for an organization. It is required to fill gaps in the organization’s geographical outreach and product portfolio. On the other hand, corporate development is also an essential outward-looking function for an organization. This is so because organizations are dynamic enterprises, with valuable assets, that can be monetized and grown through different combinations of deals and partnerships. Thus, the corporate development department is required to innovate and create a range of business partners and transaction alternatives. Typically, corporate developmentCorporate Development Career PathCorporate Development jobs include executing mergers, acquisitions, divestitures & capital raising in-house for a corporation. Corporate development ("corp dev") is responsible for executing mergers, acquisitions, divestitures and capital raising in-house for a corporation. Explore the career path. is a centralized function because this gives the Corp Dev team a birds-eye view of the organization which helps them to spot opportunities and threats. This allows the company to take advantage of being a first mover in case of an opportunity and take pre-emptive action against threats. Such a structure also allows the corporate development team to structure deals with other businesses that fit well into the company’s portfolio. However, it should be noted that a centralized Corp Dev department does not imply that the department works in complete isolation from other operational groups within the company. For example, after acquiring a business, the corporate development team helps integrate the acquisition into the company by collaborating with support functions and business lines within the company and with vendors outside the company. Under this an organizational model, the corporate developmentCorporate Development Career PathCorporate Development jobs include executing mergers, acquisitions, divestitures & capital raising in-house for a corporation. Corporate development ("corp dev") is responsible for executing mergers, acquisitions, divestitures and capital raising in-house for a corporation. Explore the career path. department is lean – i.e., it consists of very few Corp Dev professionals. This lean team depends on a network of external and internal resources for providing subject matter expertise when evaluating potential partnerships and strategic transactions. A decentralized Corp Dev organizational model actually means there is no core corporate developmentCorporate Development Career PathCorporate Development jobs include executing mergers, acquisitions, divestitures & capital raising in-house for a corporation. Corporate development ("corp dev") is responsible for executing mergers, acquisitions, divestitures and capital raising in-house for a corporation. Explore the career path. department. Instead, a corporate development team is put together on a case-by-case, or ad hoc, basis, and is made up of individuals from various internal departments. The exact composition of the team is determined by the expertise required for the specific corporate development project. For example, if the project were a divestiture, then the Corp Dev team would be heavily populated with individuals from the corporate finance and legal departments. The centralized model is the most popular model of corporate development, while the decentralized model is the least popular model. Corporate development groups are responsible for a wide range of functions, and the range of functions may vary significantly from company to company. Many people think of Corp Dev as solely involved in mergers and acquisitions (M&A)Mergers Acquisitions M&A ProcessThis guide takes you through all the steps in the M&A process. Learn how mergers and acquisitions and deals are completed. In this guide, we'll outline the acquisition process from start to finish, the various types of acquirers (strategic vs. financial buys), the importance of synergies, and transaction costs, but – especially at large corporations – Corp Dev is typically engaged in a number of other projects besides just M&A. Large companies often acquire/buyout smaller firms that have skills, knowledge, customers, revenue, earnings, and/or cash flow that can significantly benefit the acquiring company. In other cases, a company may acquire a firm that it thinks has potential and then revamp its business model to take it in a new, and hopefully, profitable direction. To carry out such acquisitions, corporate development professionals need to be skilled at corporate valuationBusiness Valuation SpecialistBusiness valuation refers to the process of determining the actual value of a business. Owners work with a business valuation specialist to help them obtain an objective estimate of their business's value.They require the tap the services of business valuation specialists to determine a business's fair value,, financial modeling, risk management, negotiation, and integration. When carrying out mergers and acquisitions, corporate development teams: (1) create a target list, (2) value the companies in a financial model, (3) negotiate terms of the deal, and (4) integrate the acquisition into the company. For more on this, please see our guide on the M&A ProcessMergers Acquisitions M&A ProcessThis guide takes you through all the steps in the M&A process. Learn how mergers and acquisitions and deals are completed. In this guide, we'll outline the acquisition process from start to finish, the various types of acquirers (strategic vs. financial buys), the importance of synergies, and transaction costs. For successful integrations, Corp Dev teams often create a Transition Services Agreement (TSA) between the buyer and the seller. A TSA specifies the nature of and duration for which the seller will continue to provide services to the business which has been purchased. This creates value for the buyer as it provides them with time to integrate the newly purchased business. It also helps the seller as it allows them to mitigate stranded costs and restructure their systems (especially if only a part of their business has been acquired by the buyer). Having a reputation in the marketplace as a “partner” of choice provides a company with a competitive advantage. This is so because stable partnerships, comprised of a number of organizations, provide all the partners with economies of scale. Furthermore, in order to avoid a price war/a race to the bottom with a potential competitor, companies often prefer establishing partnerships with them. Also, forming partnerships is (usually) much less capital intensive than acquiring a firm. Thus, given the demand for establishing partnerships in innovative ways, knowing how to establish sustainable partnerships with other organizations creates a competitive advantage. Companies face both internal and external pressure to make sure that the portfolios of the company are using capital in an efficient manner. As a result, divestituresDivestitureA divestiture (or divestment) is the disposal of company's assets or a business unit through a sale, exchange, closure, or bankruptcy. A partial or full disposal can happen, depending on the reason why management opted to sell or liquidate its business’ resources. Examples of divestitures include selling intellectual and carve-outs have become an increasingly important strategy for companies. Offloading assets in a planned fashion, based on regular reviewing of the company portfolio, can result in high return for the company. This is another Corp Dev function that requires extensive financial modeling, Excel skills, and a strong understanding of business valuation techniques. Strategic alliances enable the companies involved in the alliance to manage their risk better, leverage core capabilities and assets, and speed up entry into new markets. Strategic alliances are especially prudent vehicles for entering emerging markets like India, China, and Brazil because they help the company entering the new country form the required business relationships and learn the relevant business practices faster than would have been possible otherwise. Furthermore, strategic alliances often result in a more efficient use of capital, as the cost of the investment is shared and the risk dispersed among the partners in accordance with their skill set/asset contribution. Activist shareholders and hedge fundsHedge Fund StrategiesA hedge fund is an investment fund created by accredited individuals and institutional investors for the purpose of maximizing returns and reducing or eliminating risk, regardless of market climb or decline. Hedge fund strategies are employed through private investment partnerships between a fund manager and investors often exert external pressure on a company by stating their preferences and views regarding the company’s performance and strategic direction. The demands put forth by such investors act as incentives for the corporate development team to engineer new kinds of deals for optimizing shareholder value. 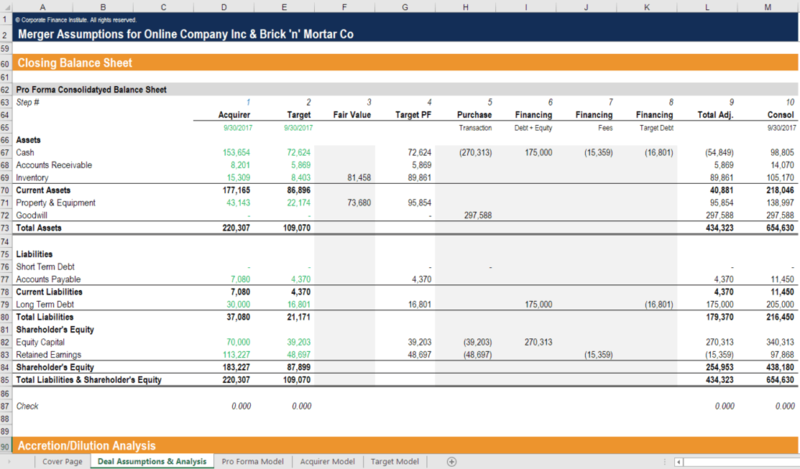 Net Present Value (NPV): The higher the NPVFormulasCFI's guides to Excel formulas and functions. Study our list of the most important Excel formulas and functions to become a world-class financial analyst, the better the performance of the company’s Corp Dev team is perceived to be. Return on Investment (ROI): Like NPV, an increasingly higher ROI indicates a solid Corp Dev department. Internal Rate of Return (IRR): The better that Corp Dev performs, then the higher the margin by which the IRR will exceed the company’s required rate of return. Revenue growth: Revenue growth is another metric that is used to evaluate the performance of a Corp Dev department. 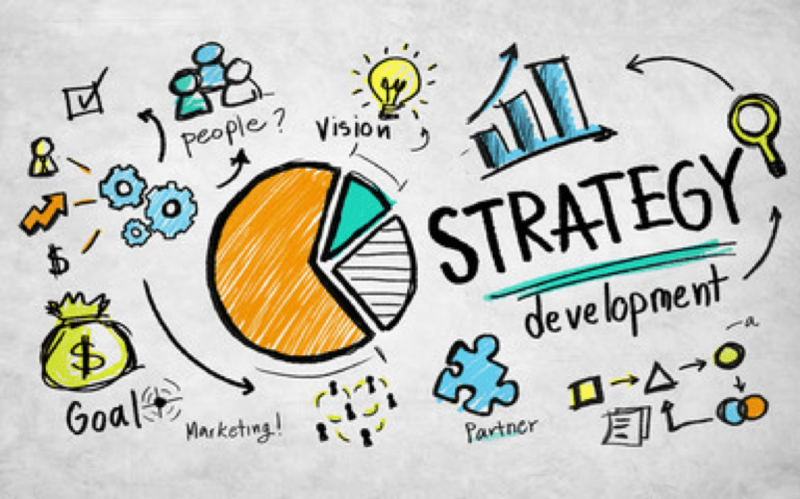 Strategic Factor Analysis: A higher score for the company in its strategic factor analysis indicates operational efficiency of the corporate development department. Synergy Capture: If after a merger and acquisition, the performance and value of the two organizations combined is greater than the performance and value of the two organizations separately, the company is said to have captured synergy. The synergetic effect of a transaction/deal is often most easily seen in stock share prices – if the synergetic effect is positive, share prices increase. Dilution/accretion analysis: If a dilution/accretion analysisAccretion DilutionAccretion Dilution Analysis is a simple test used to determine whether the proposed merger or acquisition will increase or decrease post-transaction EPS shows that earnings per share will increase after an M&A, the Corp Dev team is considered to be good at creating shareholder value. Customer retention: Since part of Corp Dev’s responsibility is working to improve the customer/client experience, higher customer retention rates reflect the Corporate Development team’s success in that area of endeavor. Employee turnover: Corporate development, by helping to create business success and operational efficiency, can also contribute to achieving, and then maintaining, a low employee turnover rate. An effective Corp Dev department has the ability to assess value and risk accurately, generate a significant number of deals, acquire targets, and drive an optimal and successful business strategy. Source: M&A financial modeling course from CFI.